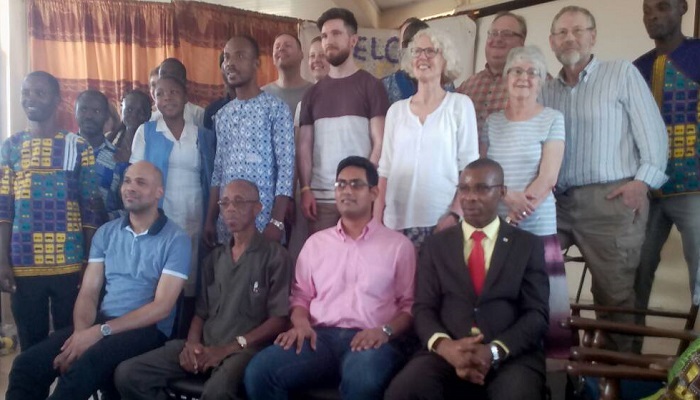 The Kaneshie Area Children’s Leader of The Church of Pentecost, Pastor Emmanuel Kwasi Appiah has hosted a delegation from the Compassion International, an NGO in the United Kingdom and the USA with branches in different parts of the globe. The 9-member delegation received by Pastor Appiah, who doubles as the Israel District Minister, the Deputy Children’s Director, Elder Samuel Tachie-Menson, and the Assistant Kaneshie Area Children’s Leader, Elder Emmanuel Kissiedu. 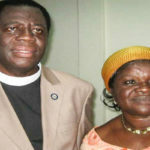 They were in Ghana to pay a working visit to one of its branches at the New Fadama Assembly of The Church of Pentecost. They were met with the display of different traditional drumming and dance by the beneficiaries. Compassion International is an NGO which financially and materially support children and their parents from poor homes right from childhood to adulthood. The objective is help underprivileged children to realize their God-given potential and aspire for greatness regardless of their poor living conditions. The Branch Coordinator at the New Fadama Assembly of the Church took the delegation through the various programmes they have initiated and organized since its inception 12 years ago. Among the programmes were: Saturday Morning Devotion and Classes for the beneficiaries at the church premises, Cleanup Exercises and Community Education, Health Screening, and Excursions. On their success stories, it was reported that 15 of the beneficiaries were in the various tertiary institutions across the country pursuing various courses including Nursing, Law and Political Science, Business Administration and Arts under the sponsorship of the NGO. Others are also enrolled in the Fashion, Construction, Driving and Electrical fields. Currently, there are 4 beneficiaries who are also Muslims from the community. It was reported that the programme has brought peace and harmony between the Christians and Muslims in the community since they all benefit from the initiatives. 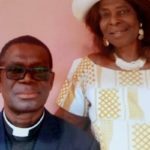 They reported of an instance where the Ga traditional leaders had wanted to invade the premises of the church during a Sunday service for making noise when there was a ban on noise making and drumming, but they were prevented and sacked by the Muslim community who later served as guards till church service. This enabled the church members to drum and dance to the glory of their Maker. A beneficiary, who joined the Ghana Police Service in 2017 and was adjudged the Best Shooter among her peers during her graduation, was also present at the gathering to meet and personally thank the delegation for their support. 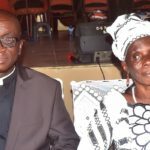 The delegation, in their response, expressed delight for the successes chalked so far by the New Fadama Assembly branch of Compassion International. They promised to offer more assistance in the future and also report the great works they have observed when they go back home. The Deputy Children’s Director thanked the delegation for their support to the beneficiaries and their families as well as the entire community and urged them to continue to offer more of such support to the branch. 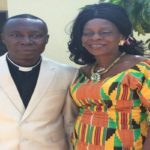 Pastor Emmanuel Kwasi Appiah prayed for travelling mercies for the delegation as they head back to their country.